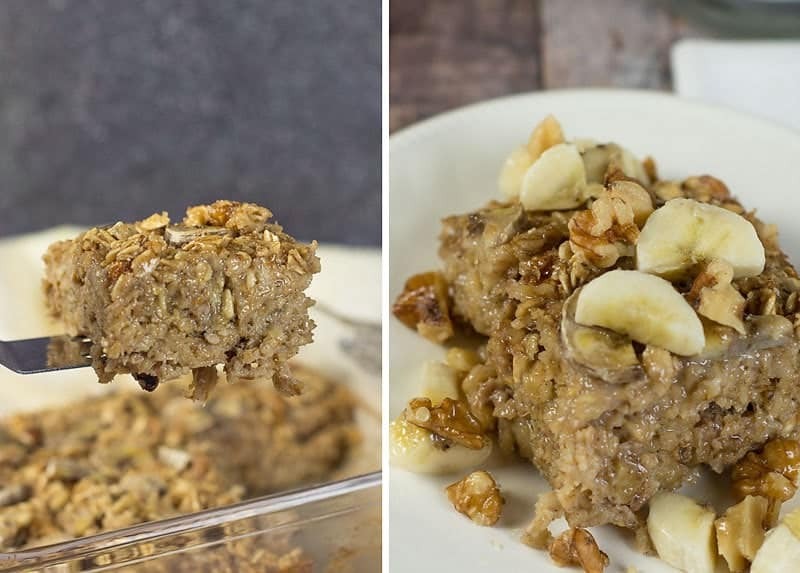 Bananas, walnuts, and cinnamon combine to give this Banana Walnut Baked Oatmeal the delicious taste of banana bread! Just add an 8-oz glass of milk, and you’ll have a nutritious breakfast of protein and whole grains to power you through your morning. This is a sponsored post written by me on behalf of MilkPEP. The opinions and text are all mine. My kids are always begging to go to the farmers’ market with me in the summer and fall. They love to see all the fresh fruits, vegetables, and artisanal foods available from our local vendors and farmers (especially the free sampling that’s almost always offered by the vendors too, lol). They also love visiting our local “pick your own” farm. Whenever we have a chance to go and make a day of it, we stock up on whatever is in season and available for harvest. 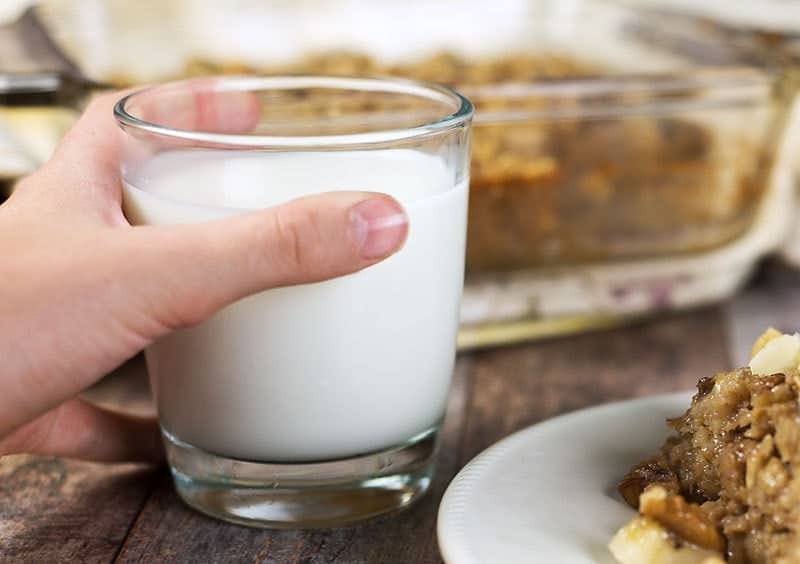 I’ve made it one of my goals to teach my kids all about nutritious eating and how to make smarter food choices; so when I heard about the new Farm-to-Table program from MilkPEP and Scholastic, I was excited to check it out. 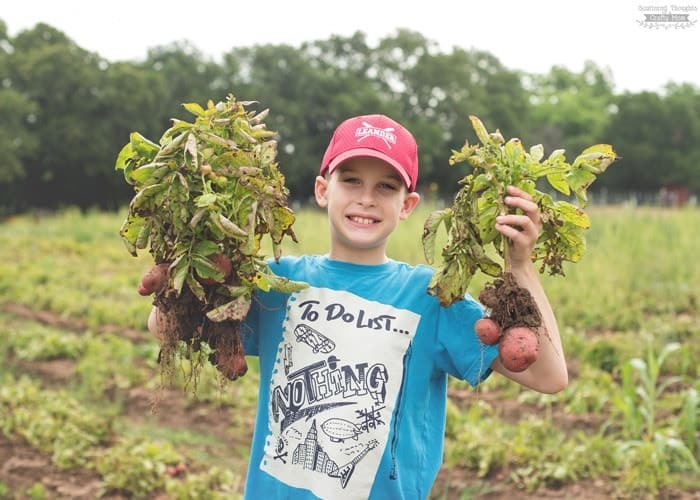 The Farm-to-Table program is just the type of learning experience that will keep my kids engaged, teach them the importance of how food is produced, and help reinforce the importance of a nutritious diet. The program is full of fun and easy recipe ideas that moms and kids can do together, including a quick breakfast hack and yummy nutritious desserts. There are conversation starters and activities to keep the kids engaged, and there’s even a fun comic book–style printable student magazine, which features two cute kids learning about the science of milk’s journey from farm to table. Last but not least, there’s a full 16-page lesson plan for teachers and homeschoolers! Check out the program for yourself and let me know what you think. One of the subjects this program touches on is the importance of a nutritious breakfast. The kids and I brainstormed some nutritious breakfasts that are also fun and easy. 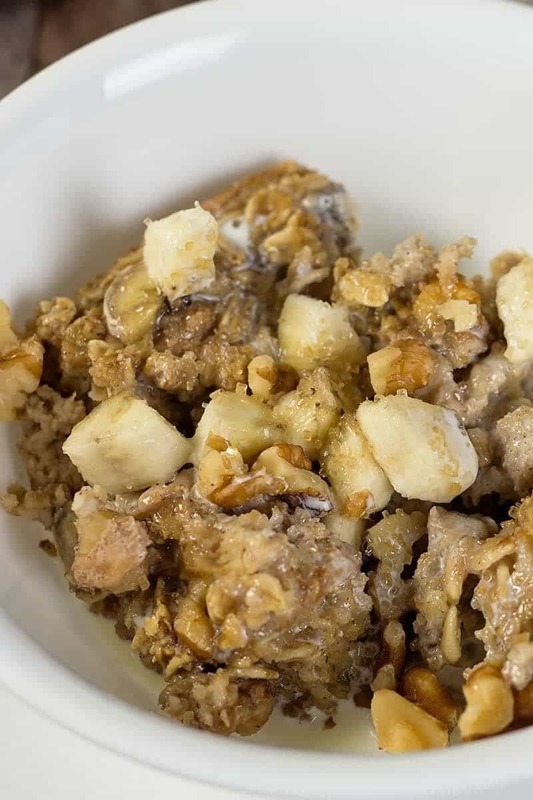 Oatmeal is always a favorite, and since they love the pumpkin oatmeal I make—and since we happen to have bananas and walnuts on hand—what would be better than a banana bread-style Banana Walnut Baked Oatmeal. Even though this recipe requires baking, I still consider it an “easy breakfast” because it’s more of a make-ahead style breakfast. You can bake it the night before and have several days’ worth of quick breakfasts since you can just pop a serving into the microwave and reheat for one minute. All you have to do is add an 8-oz. 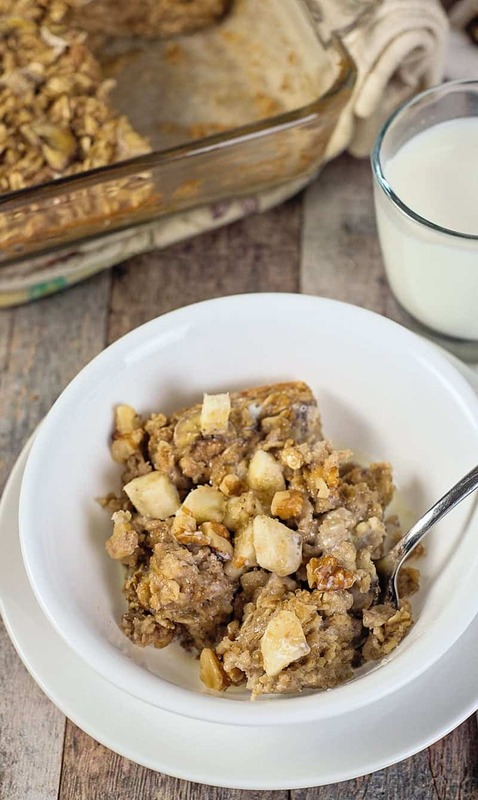 glass of milk, and this Banana Walnut Baked Oatmeal recipe provides protein and whole grains to help power the kids through their busy mornings. 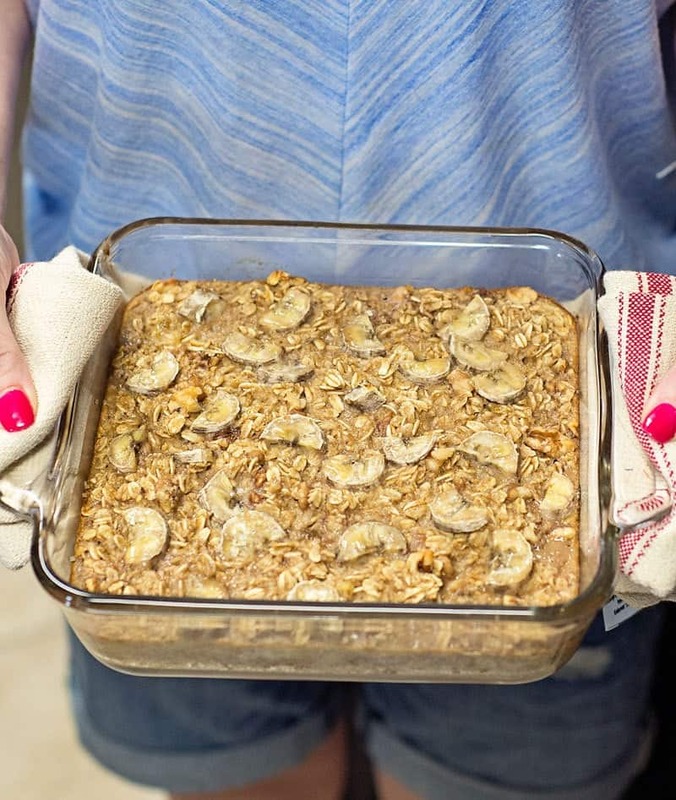 Oh my goodness, this banana oatmeal is soo good! 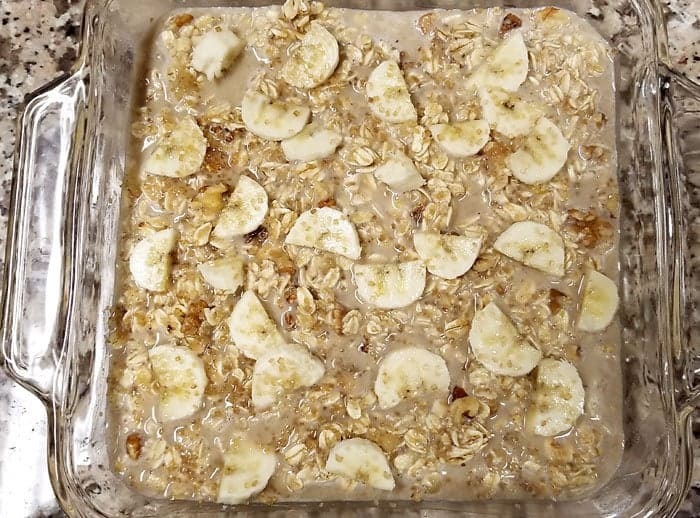 I added a tiny little extra sprinkle of turbinado sugar to the top of the oatmeal, and as the oatmeal bakes, the sugar melts on the bananas, and gives them an extra-delicious caramelized banana taste! You can eat the Banana Walnut Baked Oatmeal as is, but we loved it even more broken up with an extra splash of milk poured over the top. 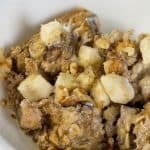 Bananas, walnuts, and cinnamon combine to give this Banana Walnut Baked Oatmeal the delicious taste of banana bread! 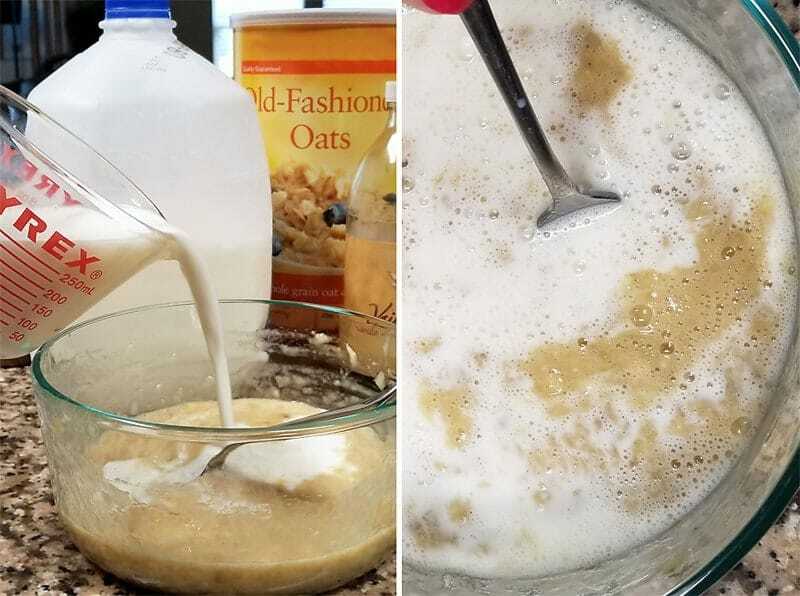 In medium mixing bowl, mash 2 bananas with a fork and mix in the egg, vanilla, and milk until thoroughly combined. In a separate bowl, combine oats, brown sugar, baking powder, salt, and cinnamon. Stir until combined. Add wet ingredients to the dry and mix until everything is thoroughly combined. 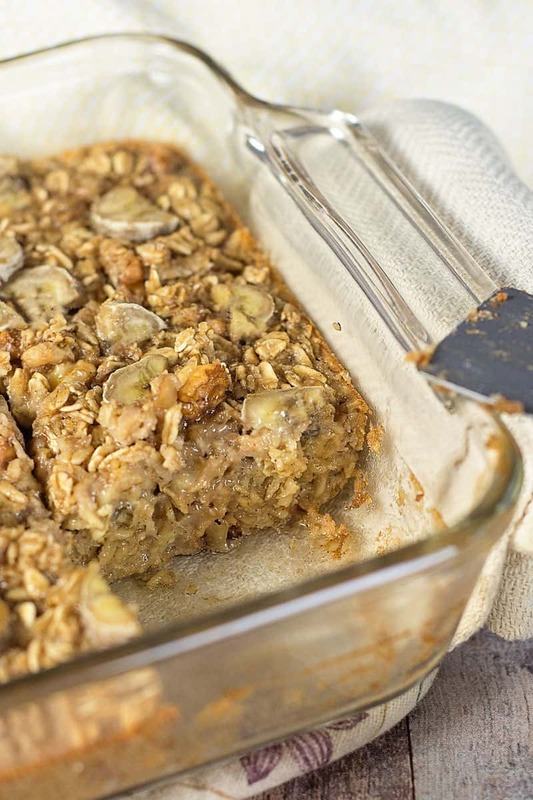 Pour into a greased 8 by 8 baking dish and top with additional diced bananas and an optional sprinkle of sugar. Cook oatmeal for 25 to 30 minutes until set and cooked through. 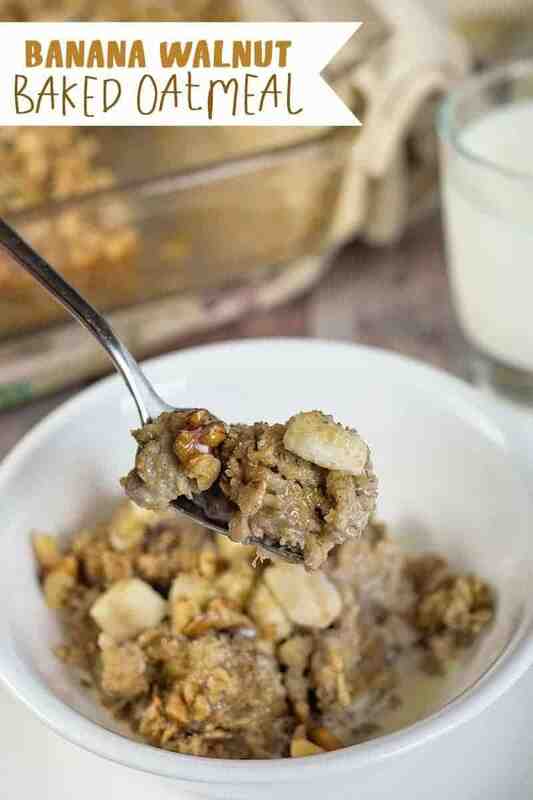 Garnish with more bananas and walnuts and a splash of milk. Now it’s your turn! What’s one of your favorite breakfasts to serve for busy mornings? This is a sponsored conversation written by me on behalf of MILKPEP. The opinions and text are all mine.